Making climate projections for the next couple of decades is a pressing and complex task for the global climate modelling community. One of the most important purposes of modelling the future climate is to provide society and Government with projections of climate change – for instance, how will temperature, precipitation and sea level change in the UK? The ongoing global climate change is largely driven by gases and particles that human societies emit when burning fossil fuels – carbon dioxide (CO2) stands out in this role. The physical effect of CO2 has long been understood and represented in models – this is the greenhouse effect that warms up large parts of the lower atmosphere, where we live. But carbon in the Earth System (the atmosphere, the ocean, the ice sheets and the biosphere) undergoes a complex set of chemical reactions and biological processing too. Understanding and representing these is equally important since they determine how much of the additional (emitted) carbon the Earth System processes, and how much stays in the atmosphere leading to further warming. 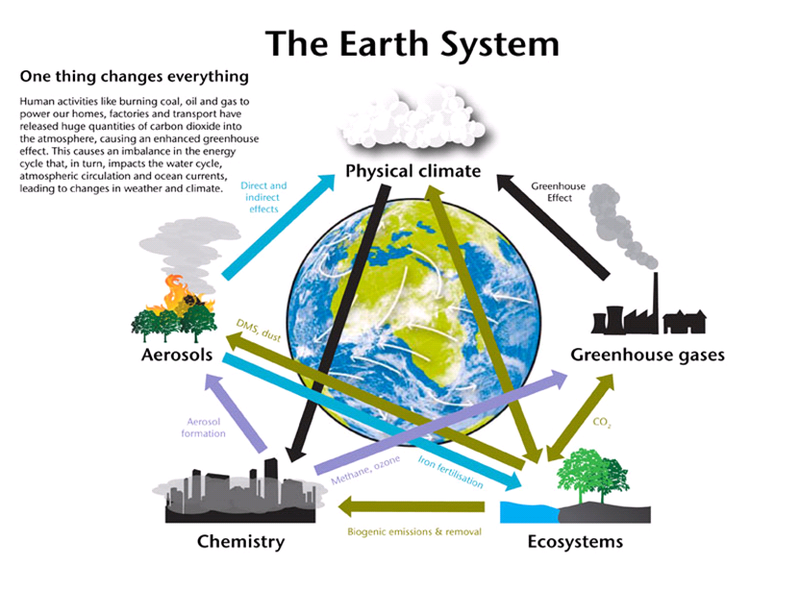 And there are many aspects to global climate change that are not carbon-related, but equally important, that require a comprehensive view of the Earth System. What is the fate of the tropical rainforests under changing temperature and precipitation patterns? Could the Amazon rainforest die back, as some simulations suggest? How will the air quality change globally and regionally? Can we bring down the (currently large) uncertainty margins around projections of regional sea level rise? Coupled ocean-atmosphere modelling: developing and running sophisticated computer models (more than a million lines of code) of the atmospheric and oceanic flow and dynamics. Dynamic ice sheet modelling: The melting rate of the ice sheets on Greenland and Antarctica (both several km thick) currently poses the largest uncertainty for projections of sea level rise. Computational Support: Running these very large computer models, along with processing and analysing their output (millions of megabytes), crucially requires support from computational scientists. Work on UKESM started three years ago. Currently, we’re conducting and analysing test runs of the coupled Earth System Model (atmosphere, ocean, atmospheric chemistry and oceanic chemistry) and we’re planning to start production runs (for full scientific exploitation) in a couple of months. Ice sheet modelling is a much younger field and needs a little more development, but it will be integrated into UKESM next year. For more information – just have a look at our website. This entry was posted in Climate, Climate modelling, Numerical modelling, Oceans. Bookmark the permalink.